ALEX Toys Artist Studio 6 Poster Paints is the perfect starter kit for the young artist! It comes with six 4oz. bottles of washable paint in assorted colors. Great for school projects, holiday decorations or just to express creativity. All primary colors are included so you can mix and match any color you can think of! Colors include red, orange, yellow, blue, green and purple. Recommended for children 3 years of age and older. 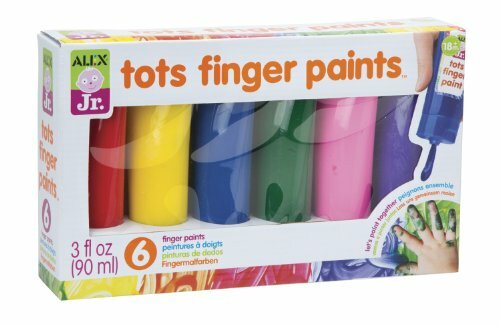 ALEX Jr. 6 Tots Finger Paints let's kids get messy. Set of 6-3oz. 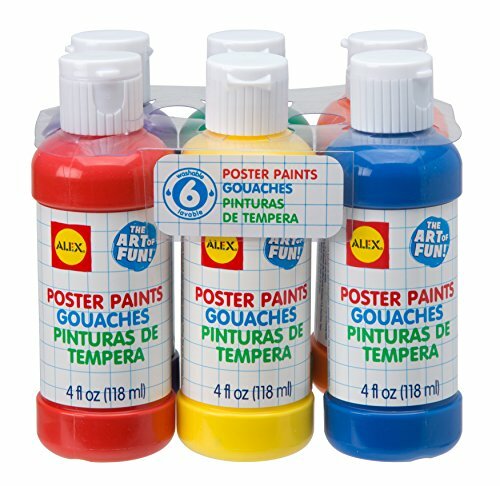 squeezable bottles of finger paint for the little artist. Includes red, blue, yellow, green, purple and pink. Recommended for children 18 months of age and older. 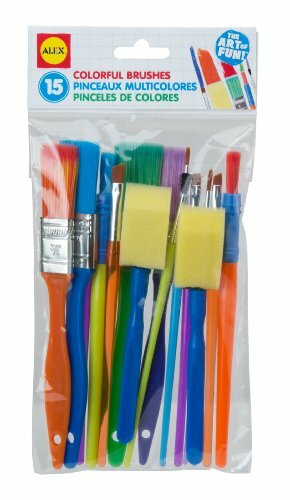 ALEX Toys Artist Studio 15 Colorful Brushes is a great addition to any little artist's collection. Paint in different textures and thicknesses. Great for watercolor, acrylic and oil paints. Includes 15 brushes of different colors, types and sizes. Recommended for children 3 years of age and older. ALEX Toys Artist Studio 36 Watercolors adds lots of hues to your watercolor creation. 36 different shades add a new dimension of awesome to your painting. Use the lid of the case to add water to your paints and blend your own custom colors. Includes 36 cakes (1in. diameter), case (11in. long x 4.75in. wide) and a paintbrush. Recommended for children 3 years of age and older. 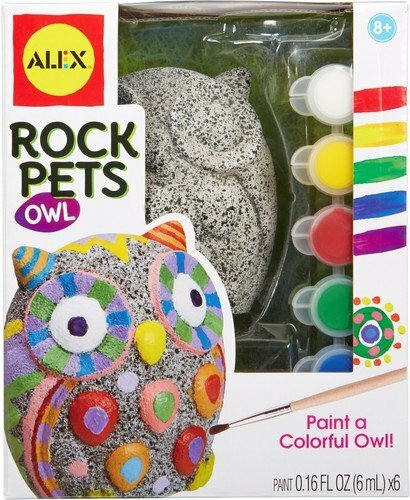 ALEX Toys craft rock pets owl lets you paint and personalize your own night owl. Transform a pretend rock into a work of art in no time. Weatherproof paints allow your masterpiece to be displayed anywhere indoors and outdoors. Choose your favorite color combinations or make a gift for a friend or relative. Rock pets totally rock! recommended for children 8 years of age and older. ALEX Toys Artist Studio 15 Mini Sparkle Brushes is a great addition to any little artist's collection. Paint in different textures and thicknesses. Great for watercolor, acrylic and oil paints. 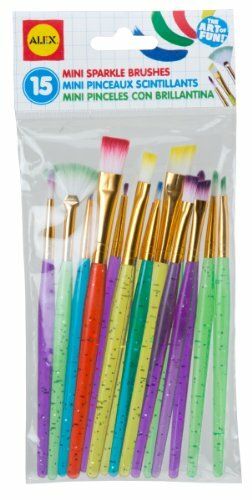 Includes 15 brushes of different colors, types and sizes. Recommended for children 3 years of age and older. 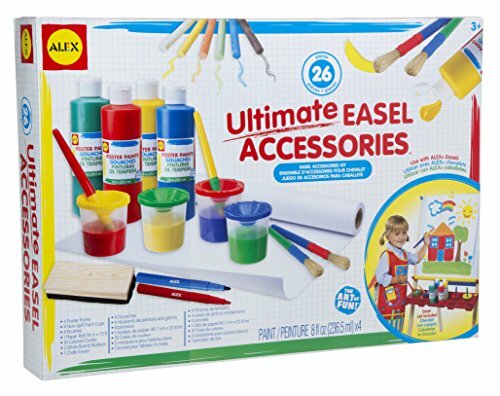 ALEX Toys Artist Studio Ultimate Easel Accessories is the perfect companion for any ALEX easel or art table! Let your child's artistic abilities come to life with sturdy paper, colorful paints and more! Includes 4 poster paints, 4 non-spill paint cups, 4 brushes, a paper roll (18in. x 75ft. ), 10 colored chalks, a chalk eraser and 2 whiteboard makers. Recommended for children 3 years of age and older. 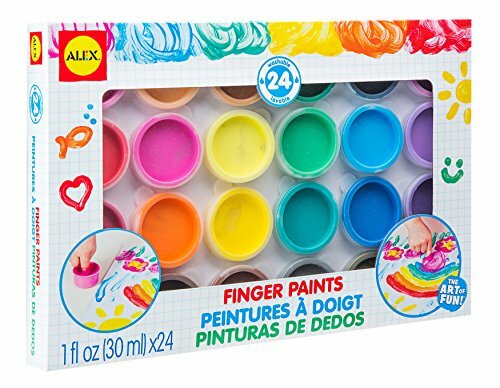 ALEX Toys Artist Studio 24 Finger Paintsincludes 2 dozen different colors of finger paints. Each comes in individual 1-ounce cups for easy use! Paints are water based and easily washable. Recommended for children 3 years of age and older. 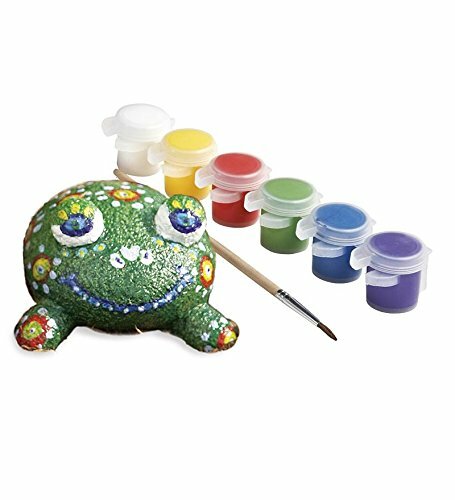 ALEX Toys Craft Rock Pets Frog lets you paint and personalize your own crazy croaker. 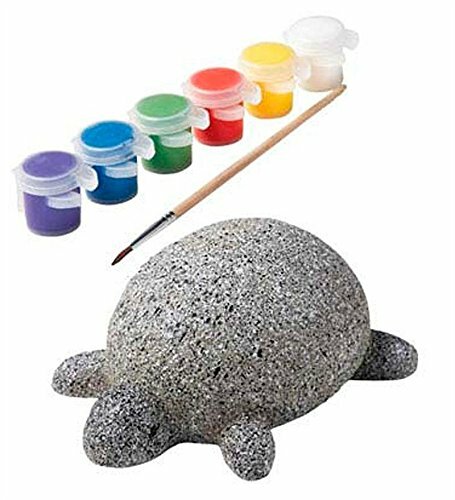 Transform a pretend rock into a work of art in no time. Weatherproof paints allows your masterpiece to be displayed anywhere indoors and outdoors. Choose your favorite color combinations or make a gift for a friend or relative. Rock Pets totally rock! Recommended for children 8 years of age and older. Looking for more Alex Paint similar ideas? Try to explore these searches: Brief Charcoal, Dodge Charger Sales Brochure, and 14k Semi Precious Stones. Shopwion.com is the smartest way for comparison shopping: compare prices from most trusted leading online stores for best Alex Paint, Sheplers Western Wear Clothing, Kraft Fat Free Mayonnaise, Paint Alex . Don't miss this Alex Paint today, April 23, 2019 deals, updated daily.